It might seem like madness to begin this review of one of Britain’s best-known beach resorts with a review of an indoor waterpark, but bear with us. We’re choosing to feature the fabulous Sandcastle Water Park for a couple of reasons. Not least that the weather in Blackpool can’t always be relied on to provide perfect swimming conditions for all the family! But the main reason is the fabulous job the team there does in making this place as accessible and inclusive as possible. There are plenty of pool chairs available if you need help getting in to the water, and the accessible changing rooms are great. There are also lots of ‘Access For All Ambassadors’ who are never far away and ready to lend a hand should you need it. Very impressive indeed. We love Stanley Park. It is completely accessible, with tarmac paths throughout, and it is just one of those parks that seaside towns like Blackpool do so well. Within its 390-odd acres, there really is something for everyone. If you’re a nature lover, you will enjoy the Italian Gardens and the rose gardens. If you are heading along there with the kids, then they will have a great time exploring the Blackpool Model Village which is fully accessible with paved paths throughout. There’s crazy golf (of course) and much, much more. If all that activity sounds a bit much, then pay a visit to the beautiful Art Deco Café, which serves great food (including a gorgeous afternoon tea), and offers some lovely views of the park itself. 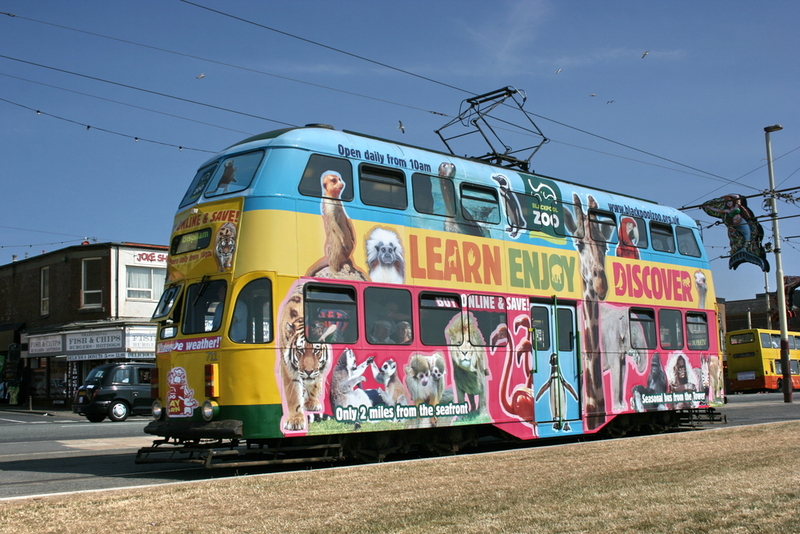 While you are in the area of Stanley Park then we also seriously recommend a trip to Blackpool Zoo. Once again, the team ensures that as much of the place is as accessible as possible. All of the enclosures are multilevel, so whether you want to get up close and personal with a lion or look a western lowland gorilla in the eye, this is the place. It is busy, as you’ll expect, but once again the designers made a real effort to create an environment that everyone can enjoy without it feeling too overwhelming. Very highly recommended, and a great way to wile away a few hours. No trip to Blackpool is complete without a trip up the iconic Tower. It is a spectacular structure that dominates the beachfront, and it is worth making the effort to get to the top. The good news is that it is surprisingly straightforward to do this, even for those of us with limited mobility. There are lovely big lifts that will take you all the way up (and allow you to take in the 4D cinema experience on the way). However, it is once you are up at the viewing platform that the fun really starts, as you will be able to head out onto the glass floor to get a truly knee-wobbling perspective on the town below you. Not one for the faint of heart! While you are there, you should also pay a visit to the beautiful Tower Ballroom. Unfortunately, you won’t be able to take your mobility scooter in there but they do have free wheelchairs which you can use. Of course, most people will head straight for the Blackpool Tower, and rightly so. But before you go up, we highly recommend you spare a few minutes to explore the Comedy Carpet in front of the Tower itself. Over two square kilometres in size, this work of art is made up of over 160,000 granite letters which together celebrate the many hundreds of comedians and writers who have performed here in Blackpool. It is a fantastic tribute to the funny men and women who are such an important part of the culture of the place. This is the part where we usually review all of the best restaurants in whichever town or city we’re featuring. But when you’re in Blackpool, there really is only one thing you are going to want: fish and chips. So, this time, we’re giving a big mention to Taylor’s Fish and Chips cafe and takeaway, which is very popular with visitors and locals, it’s accessible, and has truly amazing fish and chips. It is worth mentioning that there are a number of car parks in Blackpool with designated Blue Badge parking. You will find parking at the Houndshill Centre and there is also Central Car-parks which is open air, and close by the main sights like the Tower. You can also park on the street in the town for a short time. Blackpool is easy to get to by car: just take Junction 32 off the M6, and then follow the M55 in to the city. It’s also well connected by train. Just catch a train to Blackpool from Preston, or take one of the direct services to Blackpool North from Manchester International Airport, Manchester Piccadilly, Manchester Victoria, Liverpool Lime Street or York.